An Inspirational Story From Michelle Muto, Who Never Gave Up. 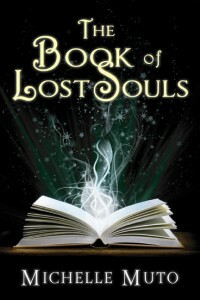 That’s what I’ve been calling The Book of Lost Souls, the book that started my path to publication. I’ve always loved to write. I’ve always loved the way imagination and words blend on a page, the way they transport a reader to faraway worlds, or right next door, where witches live. From the time I was very young, books were an amazing world to me. There was no greater joy than going to the library with my mother whose love of books knew no measure. When I was very young, my mother read to me every night. As I grew older, we’d talk about the books we were reading. Even as a young child, I knew I wanted to be a writer when I grew up. But, writing wasn’t what paid the bills. I got a regular job and life went on, although I still dreamed of writing. My father always told me to believe in myself and to never give up on what I firmly believed in. A few years after his death, I took up writing again. My mother, who was now ill and who had moved in with my husband and me, was happy to read what I wrote, or to set the table in order to give me a few more minutes of writing time. And so I wrote and edited and revised. Just before the book was ready to send to agents, my mother died. I set the book aside. Writing was too painful, too full of memories. But, the stories in my head wouldn’t let up, and so after a few years I started writing again. This time, I wrote about a teen witch named Ivy and her life in a small town, and I quickly fell in love with the story and the eclectic group of characters. I think of it as Buffy meets Harry Potter. When I typed the last line, I actually felt a pang of sorrow—I didn’t want to say goodbye. Ivy and her story became The Book of Lost Souls, and after polishing it up, I sent it off to agents. Plenty were interested and requested the full manuscript. Unfortunately, most of them thought the book was too light. Too cute. Too Disney. 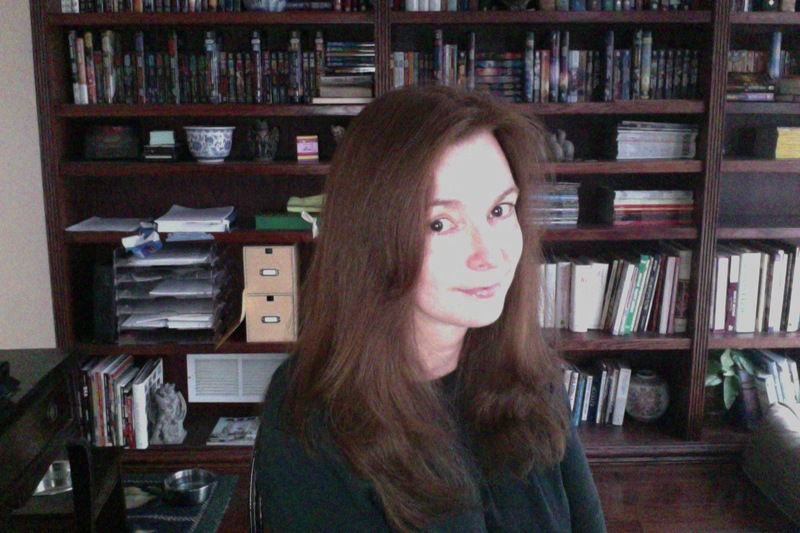 They offered to read whatever else I had, as long as it was darker. Darker sells! Or so they said. So, after two revisions for two separate agents that eventually didn’t pan out (they said the book still had a lighthearted feel to it that wouldn’t appeal to publishing houses), I set The Book of Lost Souls aside and started working on an outline for a much darker book. It was around this time that the economy began to collapse—hard—and I was given the pink slip on Friday the 13th, right after I had completed a project that saved the company $400,000 annually. Say goodbye to eighteen years of loyal service! Suddenly, writing a darker, more dystopian book about the afterlife on top of losing my job seemed too much to take. Still, I recalled my father’s wisdom of believing in myself even when no one else did. I wrote and finished the next book, Don’t Fear the Reaper, in about seven months. Still unemployed despite literally hundreds of applications, I began to worry we would lose our home or deplete our savings before I found a job. My career in IT was gone—off shored as they call it. I also wondered if I’d ever see any of my books published. I was so close to getting an agent so many times. Agents wrote back: You’re a strong writer. Or, The Book of Lost Souls is a great story and is well-written, but it’s not for me. Nearly every morning, my inbox was filled with rejection letters from jobs and agents, yet I tried to stay positive. I kept repeating my father’s words to believe, to never give up. For every rejection, I sent out twice as many applications, twice as many query letters. I just tried harder. I had been querying Reaper for about three months when I got an editorial letter from one of New York’s biggest literary agencies who’d had The Book of Lost Souls for nearly a year. A year! But, the letter was so enthusiastic about the story and my writing that I sat down and made every last revision they suggested. I turned it in and waited. Months went by. In the end, they rejected the story—not because they didn’t love it, but because in the year and change they’d had the manuscript, another client had submitted a proposal for a story about a teen witch. Conflict of interest, they called it. And that was that. My novel, the book that was finished, was dumped for someone else’s book that hadn’t yet been written. Somewhat angry and depressed, I set The Book of Lost Souls aside. Again. By now, I was at the end of my rope. I was still unemployed and out of unemployment benefits. The only work I could find was the occasional short-term computer job, some tech writing gigs, or dog-sitting. Nothing full-time, and certainly nothing we could count on. It was then that I learned about self-published authors such as Karen McQuestion and Amanda Hocking. I decided to go indie as well, starting with The Book of Lost Souls. What did I have to lose? A lot if I didn’t figure out a way for our household to stop hemorrhaging money. The only problem? I had no idea where to start. I sent an email to Ms. McQuestion, in the hopes she could point me in the right direction. She was so incredibly kind! Not only did she reply, she sent me a wealth of information on self-publishing. Today, she shares all that information on her blog. I’m incredibly grateful to her. I got a cover I could afford with the help of another indie, Sam Torode. Two editor friends went over my work. Finally, I formatted the book and the rest is history. I uploaded The Book of Lost Souls in early March, and it’s been getting consistently great reviews ever since. As for being too lighthearted? I receive emails all the time from people who love that the book is funny, upbeat, and clean. Within my first five weeks of self-publishing, I hit three best seller lists on Amazon. Me. An indie author without a publicist or a big agency or publisher behind them. Just me, my computer, my loving husband, and the devotion of two dogs at my feet. I’ve been asked if there will be a sequel to The Book of Lost Souls. The answer is yes. Two more books, maybe a third. I just haven’t thought that far out yet. And the other, darker book? After some revisions, Don’t Fear the Reaper debuted in late September 2011. On its first day, the book reached lucky #13 on Amazon’s Hot New Releases, Children’s Fiction, Spine-Tingling Horror. I’m only sorry that my parents aren’t here to see this. I took my father’s advice and my mother’s faith and reinvented myself. I still dog-sit and take on small computer jobs and tech writing gigs to help keep us afloat financially. But one day, I hope that my hard work will pay even more of the bills. Until then, I’m at peace with the way things are. Henry Ford once said, “If you think you can, or you think you can’t, you’re right.” Great advice. And so, The Book of Lost Souls, the book that nearly wasn’t, became the little book that could. I’m a firm believer that hopes and dreams are something to hold onto and fight for. Believe in the magic that is you. Keep your dreams close, and set your imagination free. I’d like to dedicate my section of this anthology to readers everywhere—words alone cannot express how much I appreciate you believing in me. You’re every bit as much a part of the magic as Ivy herself. So, thank you, Dear Reader. Sincerely. Because, every author with a story to tell writes with you in mind. 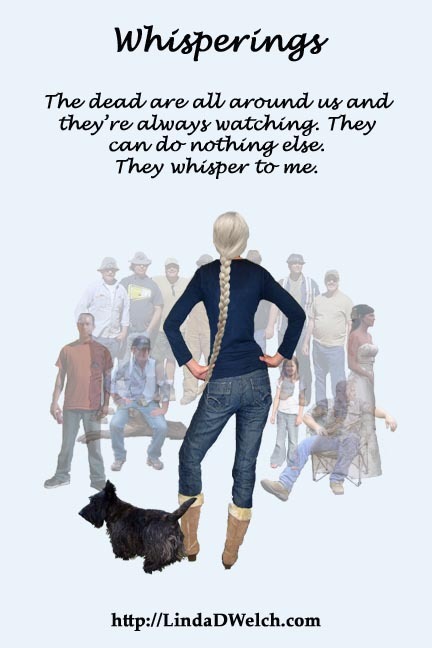 This entry was posted in Indie Chicks Anthology and tagged anthology, author, Don't Fear the Reaper, fiction, Indie Chicks, Indie Chicks Anthology, Inspirational, Michelle Muto, self-publishing, The Book of Lost Souls, writing.. Bookmark the permalink. Linda – thanks for hosting me today! It’s a pleasure Michelle. I’m glad you didn’t give up – I love your books!